Happy Friday to all my infected friends out there. This week seemed to fly past and it feels like I didn't get anything done ... but I have. Over 10 episodes of Zombie Cats Raw Sketching, 5+ episodes of ZCRSonSPEED, multiple daily updates and even some QUICKIES! I also managed to get the 2 illustrations up for Two Sentence Horrors, putting my own twist on the stories by NM Scuri, as well as multiple updates to this blog and my store ... not to mention all the work I've been putting in for #theinfected over on Patreon ... work that I have come to realize I really really enjoy. All the Patreon Exclusive stuff will be available to the rest of the world a few days after it gets on Patreon. I didn't get all my envelopes made and I didn't get to the post office yet, so those are some defeats that I will have to conquer next week. This morning I didn't actually feel like recording any video at all ... but I did. I had to, it is my JOB ... and I love doing it and after recording the video I felt awesome. After that video for ZCRS was finished and started to get uploaded to youtube I began another one, artcard sized, for a QUICKIES video. That's the fat cat sitting on a post that you see above you. It's a huge cat on a small post. 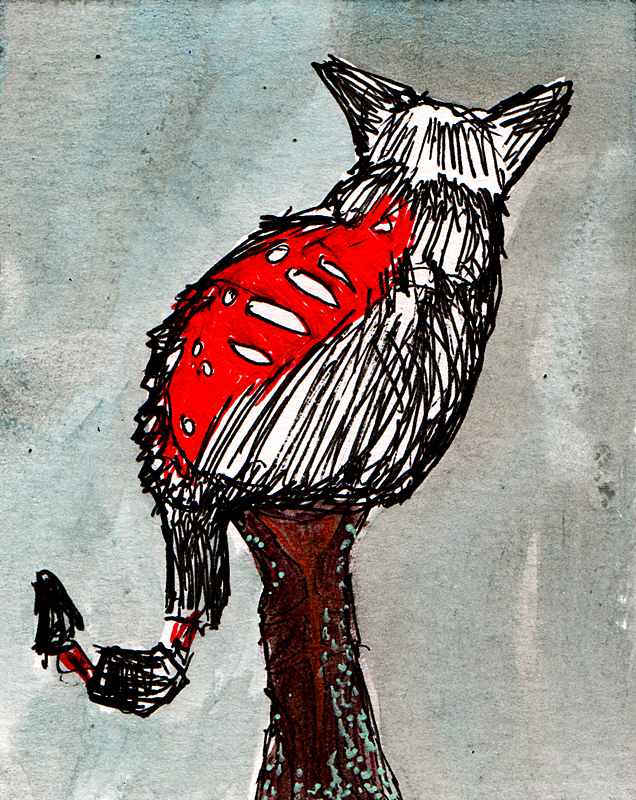 Like all my zombie cats this one is looking for a new forever home. 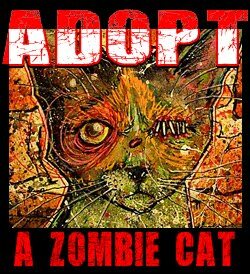 If you want to adopt one of my zombie cats, here's the link. You get the original artwork, sent to you in a decorated protective foam board book with the name of the cat (you can choose the name) and decorated with a bunch of drawings/paintings from me. It keeps the kitteh safe and is also decorative. You don't even need a frame if you choose not to use one. Okay ... I have a lot more work to do, it's only 1ish right now ... PM not am ... thankfully.